This is not what you call a fun car to drive, however, it does serve the purpose of "mommy wagon". It is a nice ride, very comfortable, gas mileage isn't bad. It hasn't needed any repairs so far...... The only thing I don't like about it is that it is difficult to gain entry to third row with all the car seats installed. 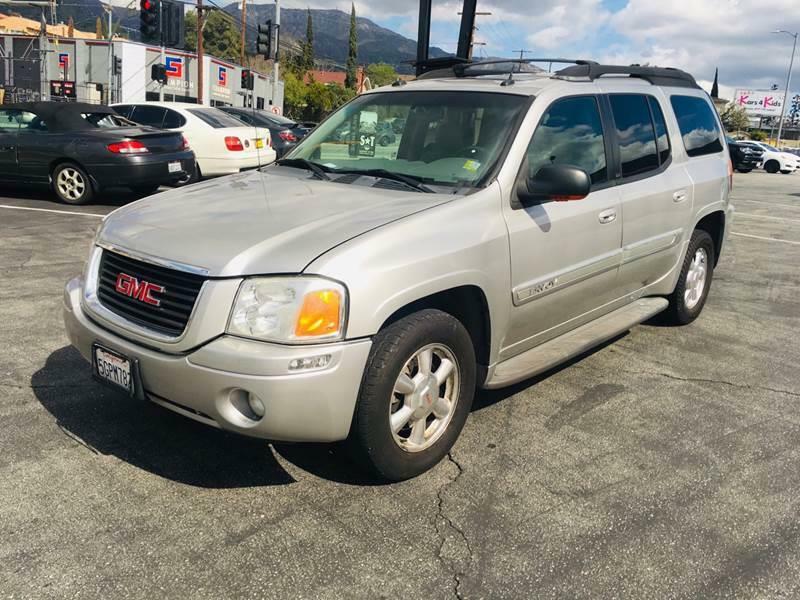 Sorry, we couldn't find any GMC Envoy XL listings that matched your search criteria. Here are Nationwide listings for a GMC Envoy XL. Here are our listings for all model years of the GMC Envoy XL. You might be interested in these similar years for GMC Envoy XL. Avg. Dealer Rating: (7 reviews) "Very good!" Avg. Dealer Rating: (18 reviews) "Good dealer"
Avg. Dealer Rating: (43 reviews) "was honest about the condition of the vehicle up front which I appreciated due to my living several hours from them. I felt we could have made a deal if not for some slight vehicle damage"
Avg. Dealer Rating: (19 reviews) "Great response "
Avg. Dealer Rating: (5 reviews) "Have not as of yet purchased a vehicle but they were very fast to respond to my inquiry look forward to doing business with them"
Avg. Dealer Rating: (18 reviews) "Great experience"
Avg. Dealer Rating: (54 reviews) "I had $7,000.00 cash, and the "Boss" wouldn't go down on the price $500.00 on a car that had 209,000 miles and was on cargurus for more than 60 days...oh well. Thank you for refusing my offer... I found a better deal!!" Avg. Dealer Rating: (3 reviews) "I would recommend this dealership to everyone who is looking to receive a deal on the car of their desirer.Try them U Wil not be disappointed...."
Avg. Dealer Rating: (26 reviews) "Rep was prompt with getting right back to me however, when I went to the dealership cars were poorly kept. If dealer isn't interested in keeping cars up ie clean and maintained I'm not interested in doing business with them. Sometimes price isn't everything. " Avg. Dealer Rating: (10 reviews) "good communication." Avg. Dealer Rating: (56 reviews) "Thank you they got back to me the next day, the car was still available!" Avg. Dealer Rating: (23 reviews) "Carlos was very prompt and nice to deal with."